Welcome to the website of internationally known percussionist, drummer, cimbalom and hammered dulcimer specialist Richard Moore. 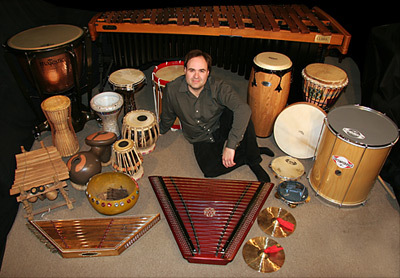 Richard Moore with a selection of percussion instruments. "Dialectics - Expressions in Solo Percussion"